Lagos Nigeria real estate investing is profitable if you know how and where to invest. When you invest appropriately in Nigeria property, you can easily earn as high as 20 - 30 percent growth in your investment year on year with almost zero work. The purpose of this Lagos Nigeria real estate investing site is to offer solid Nigeria property advice that will enable anyone, including YOU, to invest like a pro and get high return on your Lagos property investment. You can call this site the beginners guide to investing or the perfect investing for dummies guide to Lagos Nigeria real estate investing. In either case you will be right because this site breaks the Nigeria property investing process down into simple steps and explains how to maximize your profit step by step, every step of the way. On this site, you will find solid Nigeria real estate tips on . . .
. . . and even house plans. The apartment guide section provides everything you need to know to invest in Lagos property that are apartments or to creatively build apartment buildings that will fetch you lifetime income . . . a strategy called investing for income. The real estate school section provides real estate investing training for those interested in becoming smart real estate investors or those simply interested in starting a real estate business. 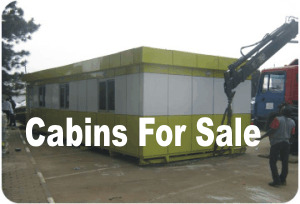 The manufactured homes section gives clear insight into portable cabins or portakabins, modular homes, sandwich panels, and virtually all types of mobile homes made in Nigeria. By now it should be clear to you that this Nigeria real estate investing site is not just for beginners in real estate investing. No, this Nigeria property investing site is not simply for those who are new to Lagos property investing. There is a lot you can benefit from this site even if you are a . . .
. . . or even a Lagos real estate enthusiast. You will notice that this site focuses essentially on Lagos property investing strategies. Does this mean that this Nigeria property site and the information therein is only for people interested in investing in Lagos Nigeria property? This Nigeria real estate investing site is for you whether you live in Lagos Nigeria or anywhere else in Nigeria. This Lagos property investing site is for you whether you're interested in investing in Lagos property or property anywhere else in Nigeria. The real estate investing strategies that work in Lagos Nigeria also work virtually everywhere else in Nigeria. True, Lagos Nigeria real estate and Abuja real estate may be more lucrative. But the strategies for long-term investing and profitability is same whether you're in Lagos state, Abuja, Ogun state, or any other state in Nigeria. So, read the real estate investing strategies on this site using the links above and below. Apply the strategies and make money big time wherever you live in Nigeria. How do you ensure you don't miss critical updates? Simply subscribe to this site using the orange button at the top of the navigation bar to your left.This will ensure you receive updates through your rss reader whenever a new article, tip, or strategy is added to this site. Subscribe to the Real Estate Guide newsletter . . . my monthly newsletter that provides solid tips for Nigeria property investing. The good news is . . . this newsletter is FREE and is delivered to your email box monthly. Subscribe using the simple form below. It takes less than a minute. Click HERE to get our phone numbers or send us an email.